Marley Dias at Lingelbach Elementary School in Germantown, collecting books as part of her #1000BlackGirlBooks social action project. Dias cited Mildred Taylor's "Roll of Thunder, Hear My Cry" as a book she's been happy to discover since starting her project. 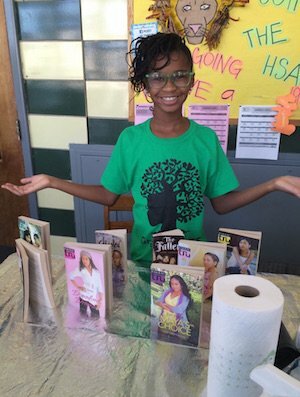 Dias' latest social action project is the "#1000BlackGirlBooks" book drive. Frustrated with many of the books she's assigned in school, she confessed to her mother during dinner one night that she was unhappy with how monochromatic so many stories felt. So far, she said, she's collected about 400 books -- nearly halfway to her goal of 1,000 by Feb. 1. The project is part of an annual social action effort she makes as part of the Philadelphia-founded GrassROOTS Community Foundation Super Camp for young girls, designed to empower and improve the health of 'impoverished' girls middle-school-aged and younger. Dias' mother, Janice, cofounded the organization seven years ago with lead MC of The Roots, Tariq Trotter (aka, Black Thought). Janice, who grew up in Jamaica, calls watching her daughter grow up with such an investment in giving back a surreal experience. 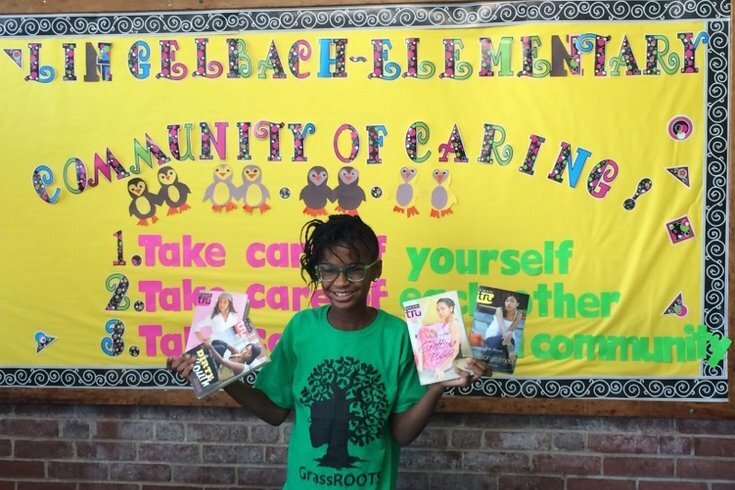 She further explained that her daughter's "#1000BlackGirlBooks" project has been eye-opening even for her. "I didn’t need identification, or I didn’t desire it because I grew up in an all-black country," Janice told PhillyVoice. "She’s not growing up in an all-black country; she’s growing up in a fairly white suburb, in a country that only has 12.6 percent of blacks. For her, identification is a bigger deal. ... For young black girls in the U.S., context is really important for them -- to see themselves and have stories that reflect experiences that are closer to what they have or their friends have. "And it doesn’t have to be the only thing they get, but the absence of it is clearly quite noticeable." The two just wrapped up a book drive at Lingelbach Elementary School in Germantown but are still on their way to hitting the 1,000-book mark. By the end of the drive, they'll put together a reference guide that compiles the book titles, authors and age groups. Books collected will be donated to a low-resources library in St. Mary, Jamaica, where Janice grew up -- in the spirit of giving back to their roots.